This Elstead Apollo 1 light table lamp in brushed brass finish with navy blue shade is contemporary and stylish. Featuring a hexagonal white marble base and mellow brass frame formed from diagonal flat section arms, with hexagonal top and central stem. 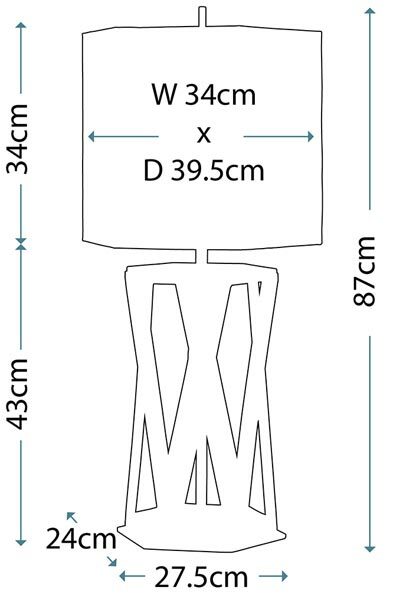 Supplied with a hexagonal navy blue 14″ faux sued lamp shade and top finial. 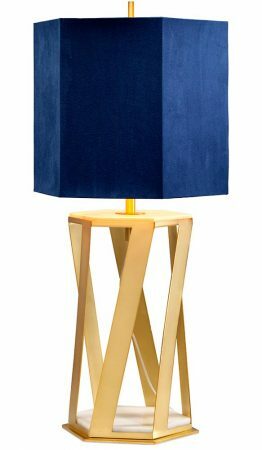 A classy on-trend table lamp that looks just as good in a contemporary or traditional room. Perfect for a dining room sideboard, living room table and fitted with a convenient inline cable switch.